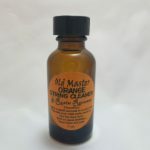 Old Master Orange String Cleaner and Rosin Remover… inspired by the cleaning power of Florida oranges! Ft. Lauderdale, FL—July 16, 2017—Why was Stravari’s move of its manufacturing plant to Florida such a great idea? Oranges. Lots of oranges—as well as lemons, limes, coconuts and other fruits—all of which enable Stravari to create the best naturally based cleaning products on the market. Surprised? Orange oil, for example, contains a key ingredient, d-limonene, which has recently become a popular natural alternative for harsh cleaners because it is so effective at de-greasing, emulsifying and releasing “stuck-on” residue from surfaces. Hence, its application for stringed instruments makes great sense. However, pure d-limonene is much too aggressive and can actually damage a varnish, as can using pure orange oil as it soaks into any exposed wood thereby causing potential tonal damage. That’s why Stravari’s custom blend does not use orange oil, however uses just the right amount of d-limonene to remove the rosin without harming the varnish. The rosin used by string musicians is naturally sticky. If it weren’t, the bow would not be able to vibrate the string enough to bring out sound from the instrument—so rosin is essential. But it is also powdery. When applied to the string, it floats everywhere, landing on the instrument as well as on the bow hairs. So, with multiple practices and performances, it tends to build up on the instrument. Unfortunately, rosin is also very acidic. As such, it can damage the varnish of the instrument if left on too long. Moreover, for those musicians who prefer thicker, stickier rosins, keeping their instrument clean and protected is even more of a challenge. Rosin cleaners have been created over the centuries to clean off the rosin. Unfortunately most of them are highly toxic and can even cause skin and asthmatic reactions when used continuously. Most rosin cleaners on the market contain solvents that have dangerous carcinogens. That is why the Stravari Team has dedicated itself to developing non-toxic, naturally based rosins and instrument care products. Their goal is to protect the health of musicians and their instruments all over the world, while providing them with products that will enhance their performance quality and tone. The Old Master Orange String Cleaner and Rosin Remover has been formulated to take advantage of the powerful cleaning action of d-limonene, while reducing its finish-stripping properties. In order to do that, Stravari blends it with various non-toxic solvents. This way, their Orange String Cleaner cleans the instrument without damaging the instrument. Maintaining a stringed instrument is a balancing act between cleaning and protecting the finish. Robin Rockley, who owns Stravari, recommends that musicians apply a fresh coat of protective wax, such as The Old Master Wax or Old Master Polish after cleaning the instrument with Old Master Orange String Cleaner and Rosin Remover. These two products seal the raw wood from dirt, moisture, rosin acidity and humidity changes. Old Master Orange String Cleaner and Rosin Remover, as well as other hand-crafted Stravari products, can be purchased directly from local retailers as well as on the web. The www.stravari.com website offers helpful product information, videos and support. Stravari, a division of Global Music, has distributors in nearly every content around the globe. Stravari, which has recently moved from Westminster, CO to Ft. Lauderdale, FL, is known worldwide for manufacturing the highest quality violins, violas, cellos, and basses, along with naturally based, non-toxic rosins, care and cleaning products. All Stravari products are hand-made in small batches to assure quality and performance. Recognized for over two decades for its quality manufacturing of orchestral instruments, Stravari is releasing an impressive, innovative line of music accessories and has chosen distributors in four countries to handle their global sales. Broomfield, CO – The coveted distributorships were awarded to Counterpoint Musical Services in Canada, Nova Strings in China, S.I.E. Co., Ltd. in Japan and Howard Core in the United States. All are proven industry leaders in their respective countries and have been commissioned to be “the primary force in getting these great products into the music retail stores,” Stravari. Setting up distributorships around the world is a natural next step for Stravari, which has recently expanded this inventory line because of the increasing demand for exceptional orchestral rosins and care products. Moreover, this Colorado company is in the forefront of the industry because they see innovation as part of their mission. Stravari has recently developed several new natural, natural bow rosins for orchestral instruments and, after extensive testing, is offering them as part of their new accessory line. All of their products are hand-made in small batches to ensure the highest quality and standardization. These new rosin recipes are formulated through three manufacturing processes. They combine together five distinct premium tree resins with additives and minerals to create the finest bow rosins—that also happen to be completely safe and non-toxic. The Stravari musical instrument company continually strives to provide professional, intermediate and budding musicians “with the finest orchestral instruments and accessories available from around the globe”—as you will discover on their website, www.Stravari.com. Browse through their new accessory line of natural bow rosins and feel free to order any of their products or instruments from the new distributor that is nearest you. In the same way that the best wines come from the guarded secrets of wine families, the newest line of bow rosins developed by Stravari Music were inspired by Italian rosin recipes dating back to the 1500s. Broomfield, CO—June 5, 2015—Countless hours of research and translation have opened up the secrets of old Italian documents containing formulas for ground coats and oil varnishes designed to bring out the finest sounds from stringed instruments. In the process of this research, Stravari’s dedicated team discovered recipes for bow rosin, from which they have developed a whole new line of rosins that meet the varied needs of violin, viola, cello and bass players. Not only do these different rosins fit the instruments, but they are also designed to meet climate and touch requirements. For example, if you are playing in a dry climate, you want to have a rosin that has more grab, such as Stravari’s Breschan II or Merlot. On the other hand, if the climate is humid, you need a rosin with less grip, such as Chardonnay or Gold. How lightly or powerfully you play also matters: The Artista I and Private Reserve I Rosins will make your pianissimos articulate and clear. Private Reserve II Rosin is for more aggressive playing, bringing out enhanced power and resonance. If you use multiple bows, consider using a different rosin on each to enhance sound quality. Aware that sometimes musicians may develop skin sensitivity to certain rosins due to extensive practicing, Stravari has also developed a hypo-allergenic rosin. Some of their varieties are low dust. They even have a rosin strictly for the bass violin, which has its own complex performance characteristics. To make it easier to decide which rosin to buy, Stravari has created a “Pick Your Grip” Guide and placed it conveniently on their website. www.stravari.com. This chart enables musicians to determine the delicate balance between climate and touch for their particular instrument. Most musicians push themselves relentlessly to perfect their craft. Robin Rockley, owner of Stravari Music Accessories, has a word of advice for them. “I view rosin as being the most affordable way to improve one’s performance. The breadth of [our rosin accessory] line was developed to accommodate different playing styles, the humidity level…We don’t take a one-size-fits-all approach.” With twelve varieties of rosin in Stravari’s new line, stringed instrument players are able to select rosins that fit the temperature and humidity of their location as well as their individual touch. Since different rosins may be needed as the seasons change, Rockley recommends that musicians keep several varieties on hand. Stravari’s selection of rosins pays tribute to the Old World masters who developed rosins and has taken their original recipes and transformed them to play in today’s world. Hand-made in Colorado and batch-tested to ensure quality, these patent pending recipies reflect the same attention to detail that you might expect at a Michelin Star Restaurant, where the meals are all created by hand. The Stravari mission has never changed—to enable players to create the most breath-taking, memorable music possible. With the right bow rosins, dedicated musicians can enhance their playing and produce precious musical experiences for listeners to enjoy. Among the accessories for stringed instruments carried by Stravari, is a very vital product called “Stravari Violin Spit.” Its name is based on the fact that, throughout the centuries, players used saliva, or spit, to clean rosin buildup off their instruments. Because rosin is very acidic (90%), it will eat through the finish unless cleaned off. Stravari Violin Spit is an effective, yet gentle and non-toxic daily rosin cleaner for stringed instruments. Stravari Music Accessories is a family-owned by Robin and Sheila Rockley and a producer of high-quality musical instruments and accessories, located in Broomfield, CO. With four distributors worldwide, it has grown to meet the demands of the industry. 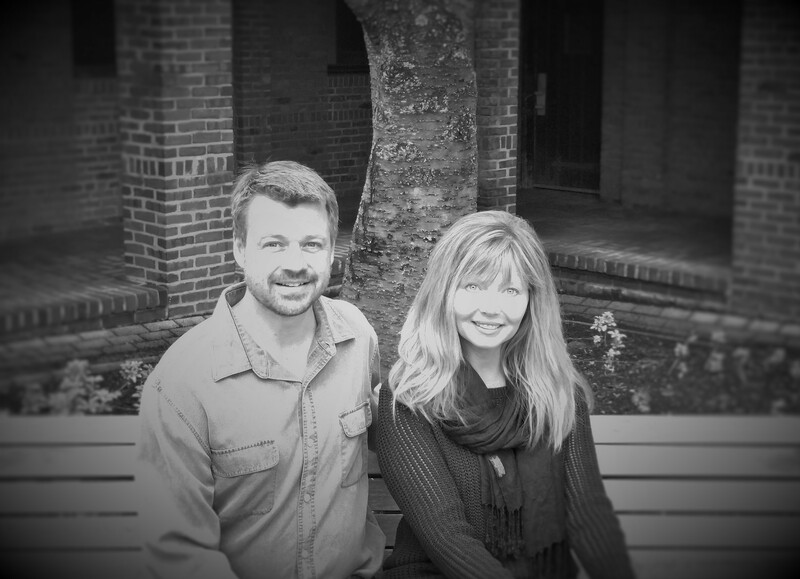 In business for nearly 25 years, this company blends together Old World knowledge with modern day technology to create outstanding instruments, rosins, polishes and instrument care products. We take pride in delivering world-class instruments to all of our customers. Read a couple of our recent testimonials. “I am so pleased with my AV2! I play bluegrass and Celtic music and prefer an instrument with a darker tone. It was nice to be able to test several of the same model from your entire line. Since all are made by different artisans. each instrument has different tonal qualities. I purchased an awesome AV1 at last years event and I believe the AV2 will become my primary fiddle. I play professionally and keep three fiddles on stage with different tunings. “I was looking for another violin to complement my loud and brassy violin, and this is the best violin for me to play baroque, classical, and early romantic music. The violin is easy to play, feels comfortable, has a lush low register and sweet high register. I highly recommend it to anyone looking for such a violin. It is excellent in its closeness to the sound of the Stradivarious Messiah. The price is outstanding for the quality of this instrument. I sincerely hope more violinists will consider this violin-maker, because I am thrilled with this new love of my life.